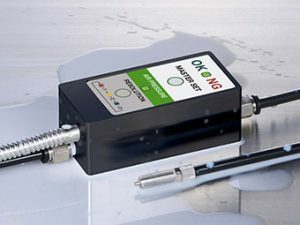 DPA pneumatic sensors enable precise positioning of the part on the work table. In order to use the sensor, in the work table on which the detail is set, holes should be made through which the air will be fed. 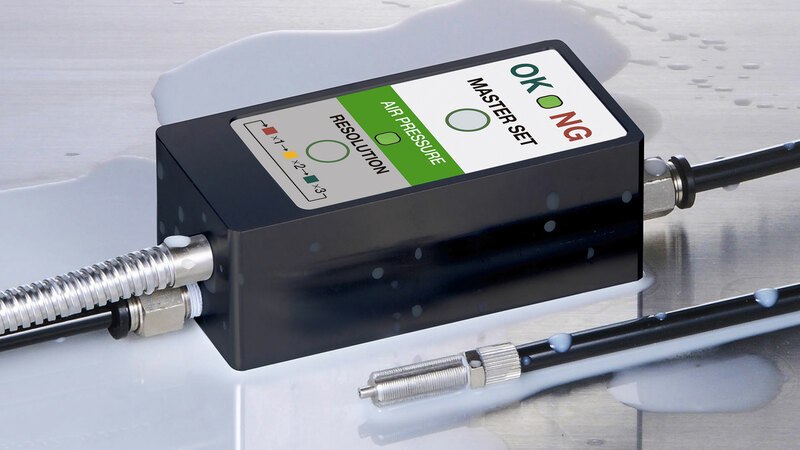 The sensor, analyzing the value of the air flow through the gap between the detail and the table surface, confirms the appropriate position giving the signal of reaching the correct position in the programmable range with repeatability up to ± 0.5μm. It is also possible to use these sensors in the quality control department for checking the correctness of the finished product parameters (eg internal diameter). The DPA sensors are available in two versions. One signal point (SR1) and two signal point (SR2) setting type. The SR1 generates two signals: OK-the workpiece is in the right position, NG-the worpiece is above the right position. The SR2 allows to get 3 classifications (-NG, OK, +NG) by setting upper and lower limit points.